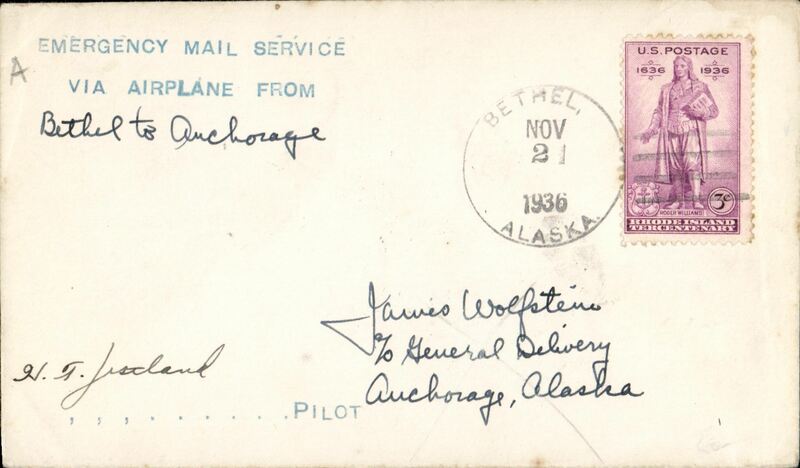 Emergency mail service from Bethel to Anchorage, bs 132/11, green two line "Emergency mail service/via Airplane from/ (ms) Bethel to Anchorage, signed by the pilot W.T.Justland. 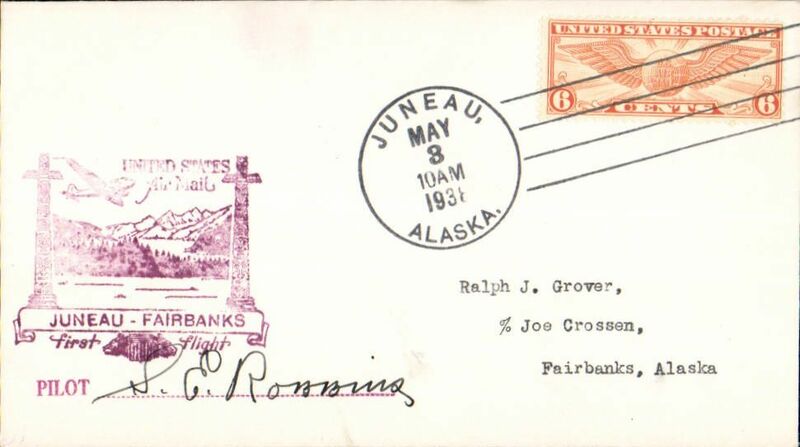 F/F FAM15 Juneau to Fairbanks,cachet, bs 3/5, Pacific Alaska Airways. Signed by the pilot S.E.Robbins.